Tuesday, 15th March 2016 was a very proud day for all in Naíscoil Íde as we joined all the schools from around the country in celebrating and remembering 1916. 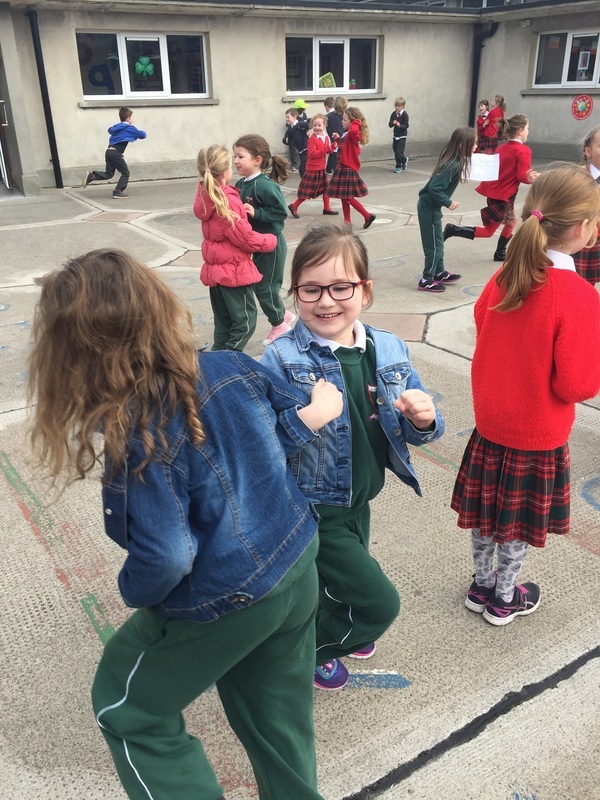 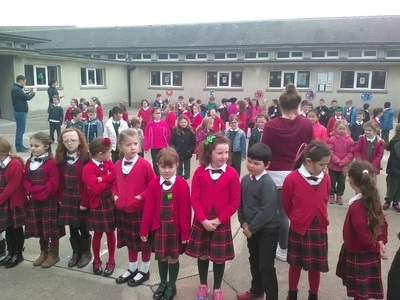 Each class contributed to the writing of a New Proclamation for 2016, where all citizens were valued equally and our country respected by all. 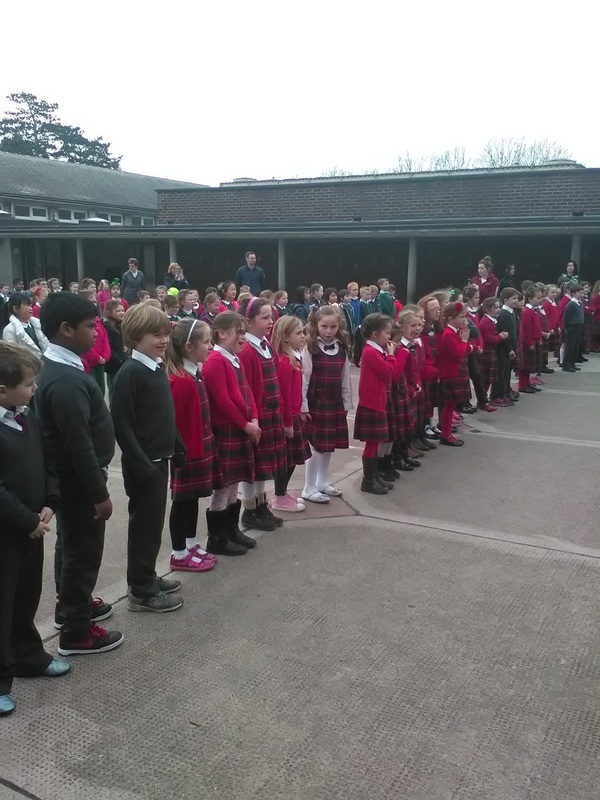 Our thanks to Ms. Knightly for compiling our school's New Proclamation. 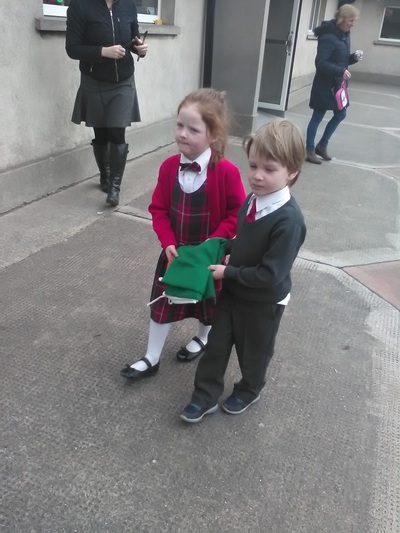 The Irish Flag was carefully brought out by our two youngest pupils, as children from First Class read out the New Proclamation for all to hear. 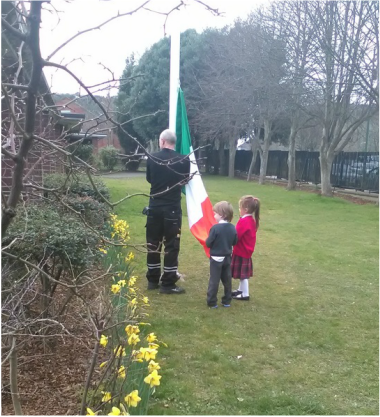 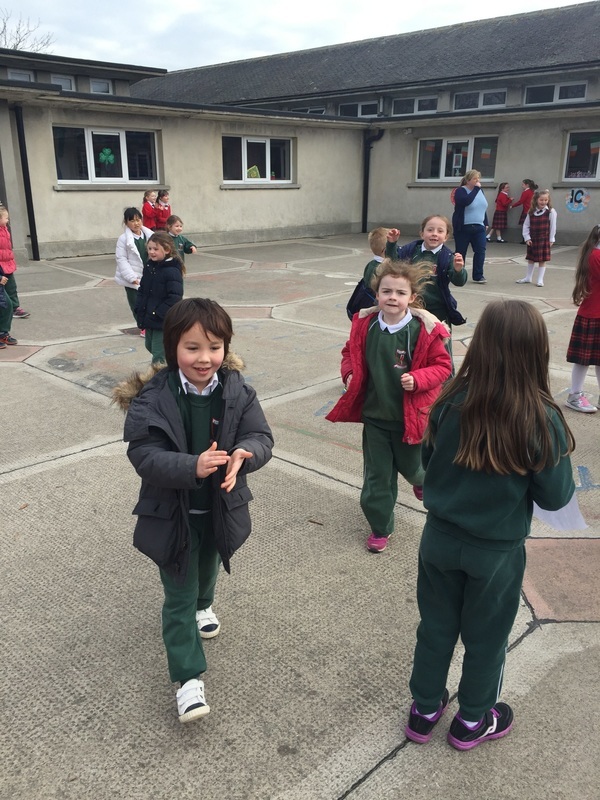 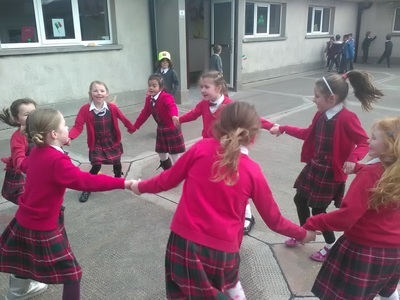 ​As the Flag was raised, all the children from First Class sang Amhrán na bhFiann.